Trivia: The chess legends: Philidor, Taimanov and Smyslov could have been famous doing something else than playing chess...what exactly? Answer: As you already mentioned on facebook/email/comments all three of them shared the same passion: music. And it was not just a hobby, but they were very good at it! 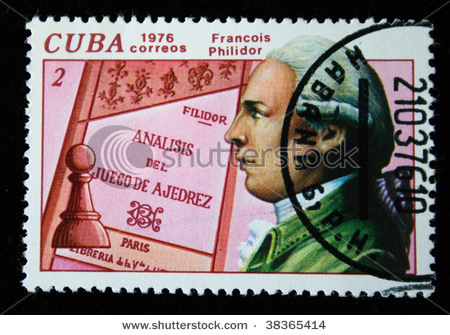 For a time Philidor was among the leading opera composers in France, but when he felt he was being surpassed by other composers, he decided to concentrate on chess, particularly as a better means of supporting his family. Smyslov was a fine baritone singer, who only positively decided upon a chess career after a failed audition with the Bolshoi Theatre in 1950. He once said, "I have always lived between chess and music." 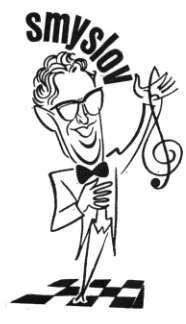 On the occasion of a game against Mikhail Botvinnik, he sang to an audience of thousands. He occasionally gave recitals during chess tournaments, often accompanied by fellow Grandmaster and concert pianist Mark Taimanov. Smyslov once wrote that he tried to achieve harmony on the chess board, with each piece assisting the others. 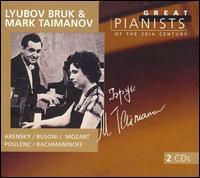 With his wife, Lyubov Bruk, he formed a piano duo, some of whose recordings were included in the Philips and Steinway series Great Pianists of the 20th century. They met at the age of 12 at the Leningrad Conservatory and their teacher Savshinsky had the idea of supplementing the solo repertoire with two pianos. It is to their teacher's great insight that they owe their wonderful career.They were both different in temperament. Lyubov had a tender, lyrical nature with refined delicate touch and Mark had a more expansive repertoire, suited to Rachmaninoff and Tchaikovsky concerts. However they both worked together to create a unique sound, using their differences to give music a more contrasted timbre. The idea of the two different personalities was the key to their music making. They began touring throughout eastern Europe very successfully and these recordings are a legacy. He remarried late in life and became the father of twins at an advanced age. 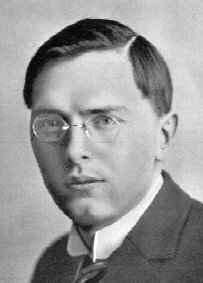 Lajos Portisch is also well known as an opera singer, but I couldn't find a video. Maybe someone can help?! 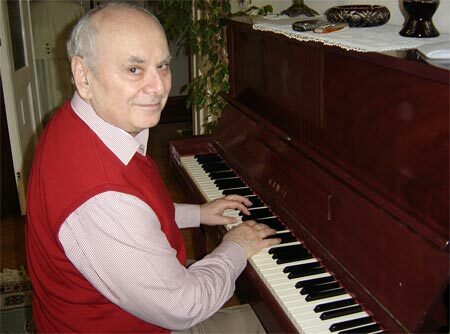 The following video shows the Grandmaster Emil Sutovsky singing at the closing ceremony of the Poikovsky, 2007. 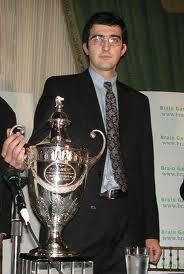 We all heard about the famous chess players Philidor, Taimanov or Smyslov. But what maybe not everybody knows is that they all shared the same passion, besides chess. As Michael mentioned in his comment, the famous swimmer is: Kramnik, preparing for the world championship match against Kasparov, in 2000. Maybe this helped because he won the match. We all know how important it is to have a decent physical condition. The following pictures speak for themselves, showing us once again not to underestimate the pshysical training. 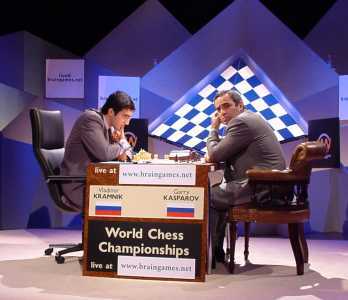 All of the photos were taken before the match against Kasparov. Or worried about his dinner? 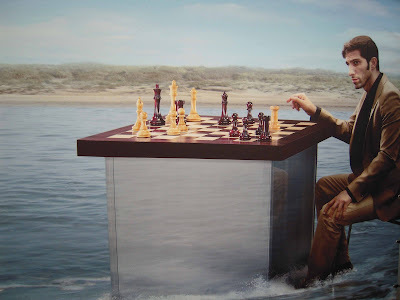 TRIVIA: Do you recognize the strong chess player swimming, in his physical preparation before an important event? 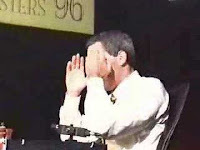 Solution from the previous trivia: Do you recognize the chess players? From left to right: Robert Ris, Erwin l'Ami, Anish Giri, Daniele Vocaturo, Axel Rombaldoni, Daniyyl Dvirnyy, Andrea Stella, Maxime Vachier-Lagrave, Venkatachalam Saravanan, Negi Parimarjan. It's time for another picture:) Do you recognize the chessplayers? Previous week, on 11th November, I posted the following Trivia question: In Amsterdam, very close to Max Euwe Plein (Square), there is a bridge...After whom is the bridge named? How's that bridge called than?! 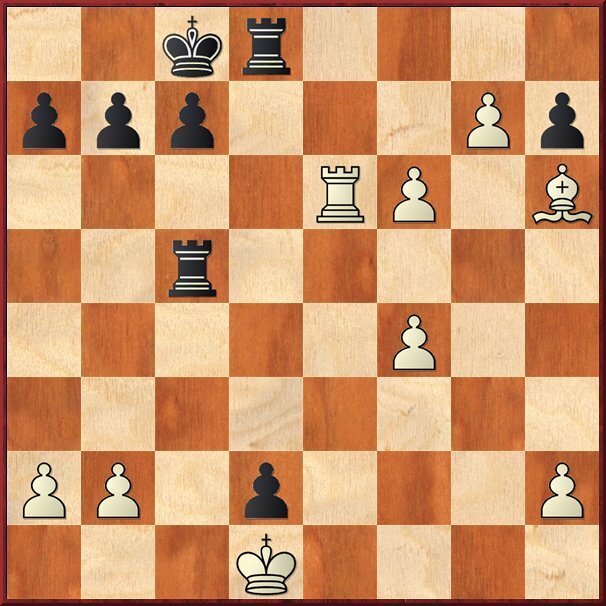 Of course it is named after another famous Dutch Grandmaster: Jan Hein Donner! 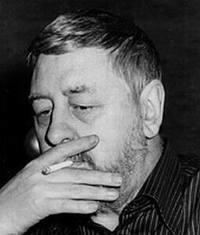 Johannes Hendrikus (Hein) Donner (July 6, 1927 – November 27, 1988) was a Dutch Chess Grandmaster and writer. Donner was born in The Hague and won the Dutch Championship in 1954, 1957, and 1958. FIDE awarded him the GM title in 1959. He was the uncle of the current Dutch Minister of Social Affairs and Employment, Piet Hein Donner. On August 24, 1983 Donner suffered a stroke, which he wrote happened "just in time, because when you are 56 you do not play chess as well as you did when you were 26". 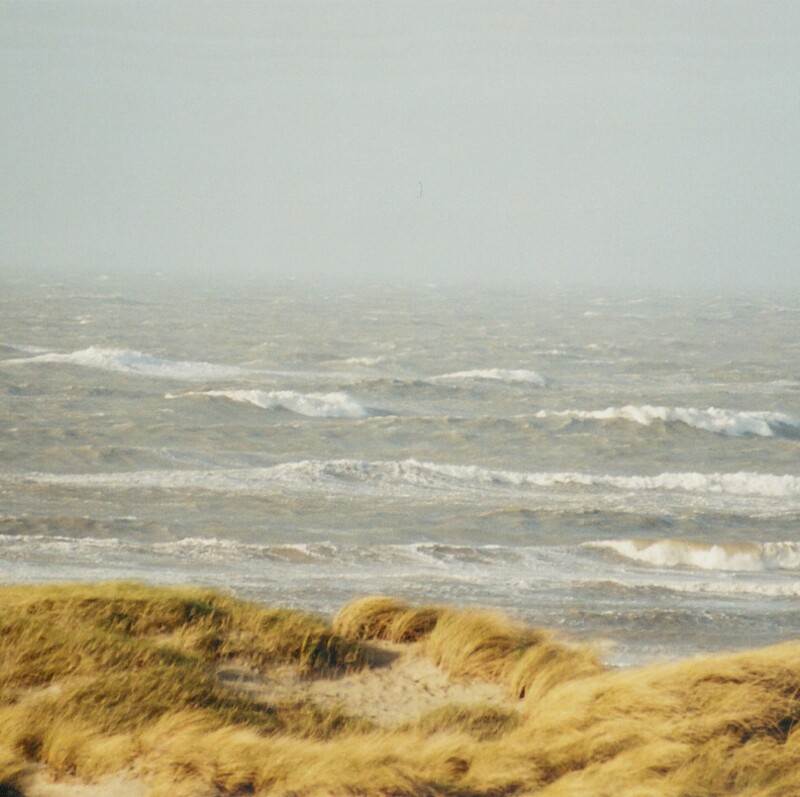 After surviving the stroke, he went to live in Vreugdehof, which he described as "a kind of nursing-home". He was unable to walk, but had learned to type with one finger, and wrote for NRC Handelsblad and Schaaknieuws. 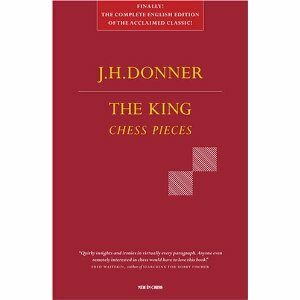 Donner was also a chess columnist and writer. He was famous for his outspoken and often outrageous columns about subjects such as women, politics, and fellow Dutch Grandmaster Lodewijk Prins, whom Donner claimed "cannot tell a kinght from a bishop". In 1987, the book De Koning ("The King") was published, which contained 162 of his chess columns, all but the last written between 1950 and 1983. 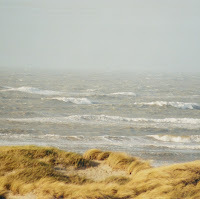 Also in 1987, Donner received the Henriette Roland-Holst Prize, one of the Netherlands' most prestigious literary awards, for Na mijn dood geschreven ("Written after my death"), a selection from the mini-columns he had written for NRC Handelsblad. In 2006, New in Chess published an English translation of De Koning, entitled The King: Chess Pieces. "I love all positions. Give me a difficult positional game, I'll play it. Give me a bad position, I'll defend it. 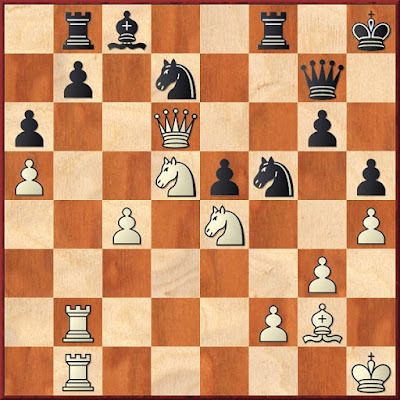 Openings, endgames, complicated positions, and dull, drawn positions, I love them all and will give my best efforts. But totally winning positions I cannot stand." Writing of Lodewijk Prins, after Prins had won the Dutch Championship: "He hasn't got a clue. He is the worst player in the whole wide world. ... Dear Lodewijk. ... You've won the title and I want to congratulate you. But I think you cannot tell a knight from a bishop and I'm prepared to prove it, too. ... We'll play a match." Prins declined Donner's match offer. "After I resigned this game with perfect self-control and solemnly shook hands with my opponent in the best of Anglo-Saxon traditions, I rushed home, where I threw myself onto my bed, howling and screaming, and pulled the blankets over my face." Donner's remark about winning from a dead-lost position: "I couldn't resist saying something that I had never said before after winning a game of chess. I may have thought it, but I had never said it. I said, 'Sorry.'" "Chess is and will always be a game of chance." "It is mainly the irreparability of a mistake that distinguishes chess from other sports. A whole game long and there is only one point to score. Just one mistake and the battle is lost, even though the fight may go on for hours. ... That's why a mistake hits so hard in chess." 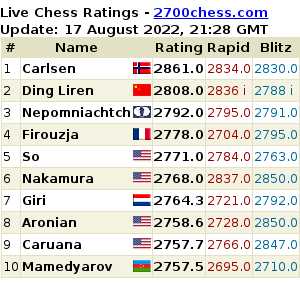 "How different is chess in the United States. The game of chess has never been held in great esteem by the North Americans. Their culture is steeped in deeply anti-intellectual tendencies. They pride themselves in having created the game of poker. It is their national game, springing from a tradition of westward expansion, of gun-slinging skirt chasers who slept with cows and horses. They distrust chess as a game of Central European immigrants with a homesick longing for clandestine conspiracies in quiet coffee houses. Their deepest conviction is that bluff and escalation will achieve more than scheming and patience (witness their foreign policy)." "... it doesn't take much insight into human nature to predict that Fischer will not be world champion for long. His quirks, moods and whims will turn against him at the moment when he has reached the top. He'll hit out hard, but at nothing but thin air." "The difference between the sexes is remarkable in chess, but not any more so, to my mind, than in any other field of cultural activity. Women cannot play chess, but they cannot paint either, or write, or philosophize. In fact, women have never thought or made anything worth considering." Yesterday evening Erwin gave a chess lecture in Max Euwe Center in Amsterdam, about the match between Anand and Topalov 2010. 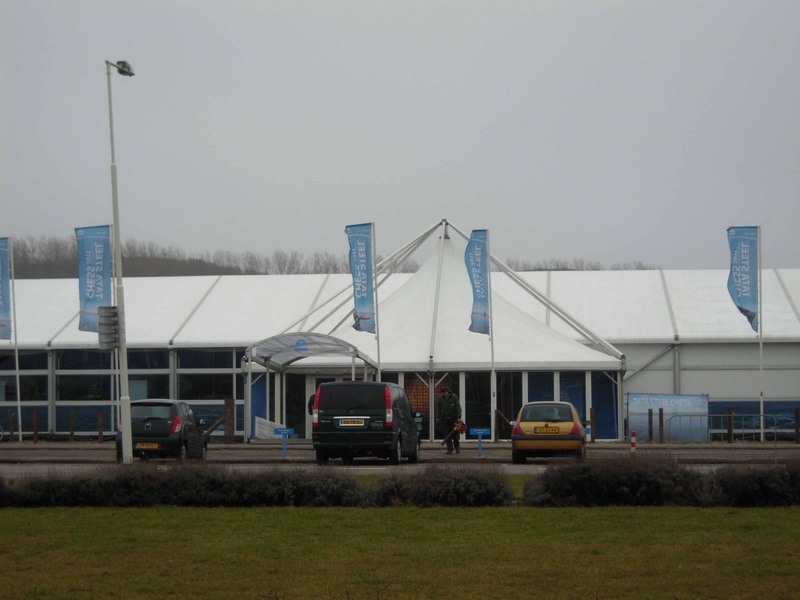 The Chess Center is located in the Max Euwe Plein (Square), definitely a must see for chess visitors! Once through the entrance we find ourselves in the museum. Panels with texts and photographs show an outline of the development of chess and Max Euwe's career. Glass cases display various objects from Euwe's chess inheritance. Chess sets from all over the world give an indication of the variety in chessmen through the ages. MEC's attention for the history of chess finds expression in its videotheque as well. In the meeting room adjacent to the museum a dvd-player and monitor have been set up. MEC has obtained dvd's of the earliest chess films; visual material of rare, historical value; recordings of a more recent date are also available. The walls of the meeting room have been fitted with a portrait gallery of female and male world champions. Under the watchful eyes of these celebrities you can play a game of chess. A splendid sight! As mentioned before, Max Euwe Center is located on a beautiful square named after Holland's only chess world champion. On the square you will find a huge chess set next to a statue of the champion. The giant pieces are used day and night by enthusiastic chess fans. Erwin told me that now, in the night, it is even more beautiful, with a lot of lights from the Christmas decorations. And they are not regular ones, but in shape of chess pieces! Trivia: After whom is the bridge named? What do Kasparov, Korchnoi, Karpov and Capablanca have in common, besides chess? A. It's a game between Torre - Parker, New York, 1924.